If there’s one place in your home that’s likely to attract dirt and grime, it’s the hob. When you’re stir-frying a fistful of peppers and beansprouts at high temperature, or simmering a rich ragu sauce, it’s inevitable that things will bubble up and food will splatter across the work surface. Even if you manage to keep this sort of thing under control, tiny food particles are sure to evaporate and then condense on top of your hob. They’ll then become burned-on next time you cook up a storm. Grime and dirt of this sort isn’t just an eyesore – it can reduce the efficacy of your hob, and, if it’s allowed to accumulate, poses a fire risk. It’s therefore essential to regularly clean the surface of your hob. The way in which this task should be performed will depend on the sort of hob you’re cleaning; they come in a range of different styles and forms, each of which demands a slightly different approach. Ceramic hobs are made from a type of soft glass which conducts heat from a metal filament beneath, up into the pan. Spillages are easily cleaned from ceramic hobs, provided that they’re caught before they’re allowed to dry – just use a damp cloth to wipe the hob down, preferably while the hob is still slightly warm (though not, obviously, warm enough to burn you). For baked-on stains, however, this won’t be sufficient. You’ll want to use a specialist hob-cleaning solution that’ll leave a protective layer for the glass after you’re done. This will not only clean up existing stains, but it’ll make it far easier to wipe up those that are created in the future. Naturally, you should never use abrasive cleaning implements, like wire wool, to remove stains from a ceramic hob – you’ll scratch the glass and irreversibly damage it. A traditional electric hob plate is made not from glass, but from solid metal. To clean one you can use a chemical cleaner, some lukewarm water, and a sponge. Be sure to put on rubber gloves before you get started –chemical cleaners can cause severe irritation, and often significant damage to the skin. If there are burned-on stains, you’ll need to leave the cleaner for a few moments to do its work lifting the grime so that you can easily wipe it away. Use a sponge to gently rub the solution from the hob. It’s better to do this several times than to overzealously scrub away at the stain. Don’t allow foamy water to dry on the plate – keep wiping until all of the grime is removed, regularly re-dipping your sponge into a bucket of warm water. Most electric hob plates can be removed from the surrounding hob so they can be submerged in your sink for easy washing. Do this every so often – but do it gently. 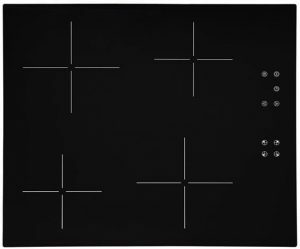 An induction hob works very differently from the others mentioned here. 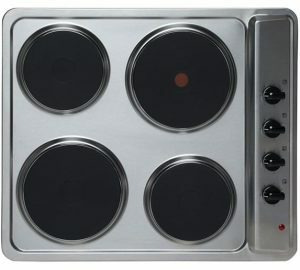 Rather than heating the surface of the hob itself, an induction hob will create heat directly within a pan using electromagnets, which cause vibrations in the metal of the pan at a molecular level. These in turn generate heat. 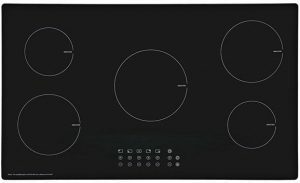 Check out our full range of Induction Hobs! Since an induction hob only heats the pan itself, if anything spills onto the hob, you won’t need to worry about it burning, and hardening, onto the surface. This means that you won’t need to use strong cleaning materials to get rid of stains – just get a spray-bottle of water or a simple kitchen surface cleaner. Start by removing any loose dirt and visible remnants of food, and then run a soft, warm, damp cloth across the surface of the hob. A kitchen spray that’s designed to lift grease is often the right way to go. For extra shine, rub some white vinegar into the surface – the acid will help remove any lingering imperfections and create that all-important glossy effect. Finally, buff until you’re satisfied with the finish. For best results, it’s important to try and keep on top of your cleaning. If food is allowed to dry onto the surface of your hob, it’ll be far more difficult to remove. As with ceramic glass hobs, you’ll want to avoid using abrasive cleaners and cloths, along with any cleaner that comes in powder form, and those which contain ammonia and bleach. The go-to implement when cleaning a stainless-steel hob (or indeed, any stainless-steel surface) is bicarbonate of soda. This will gently lift troublesome stains from the surface of the steel, allowing it to be easily wiped away. The only downside is that it’ll also sometimes remove dial markings, too. It’s therefore best reserved for stubborn trouble spots. Apply a little bit of bicarbonate to a damp cloth, and gently rub at the offending stain. It should lift away easily. 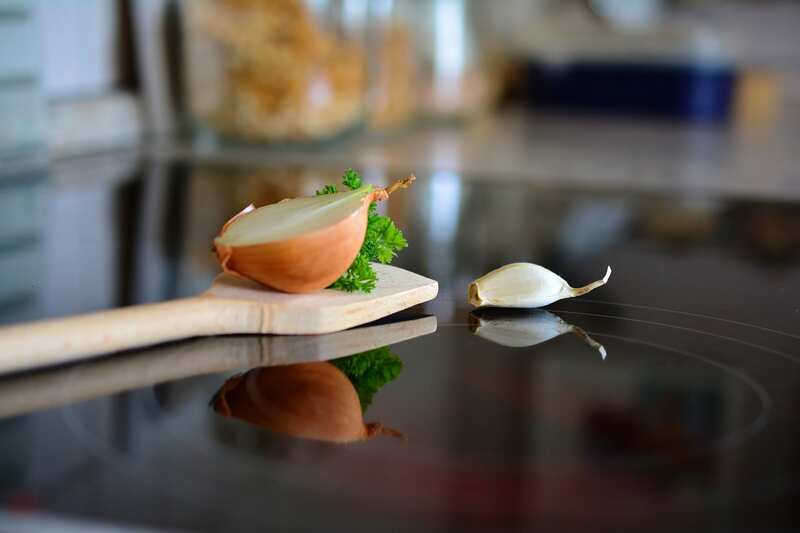 While acidic substances like vinegar might help get the best from glass, they’ll corrode the surface of a metal hob. If you spill vinegar, juice, or pickle onto your hob, be sure to mop it up as quickly as possible. To achieve a gleaming, polished finish on a stainless-steel hob, we’ll want to apply a coat of oil. Baby oil works brilliantly – just take a little bit onto your kitchen roll, and rub it across the surface of the hob. This will not only get rid of any fingerprints, but it’ll provide a protective coating for your hob, ensuring that future stains are more easily swept away. 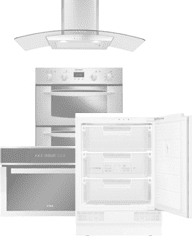 Buy a brand-new hob today from Ship It Appliances and get free & fast delivery! Discounted prices, expert advice and superb service. There was a time not so long ago when many of us thought that gas hobs were on the way out. The apparent crudity of a naked flame, it seemed, would not be able to compete with the sophistication of electromagnetic induction. But the traditional gas hob remains much beloved by professional and amateur chefs alike – it provides instant heat, and you’ll be able to see exactly when it’s on, and how hot it’s burning. When it comes to cleaning, it’s essential that you keep the area around the burner itself clear. Food which falls here will become burned-on very quickly, and should therefore be removed as soon as possible. 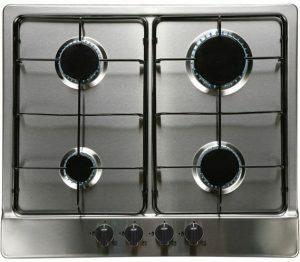 Most gas hob burners come with an aluminium base, which should be cleaned by soaking it with warm water. You might be able to get away with wire wool to remove some of the more persistent grime, but be sure to check the manual for your hob first. The burner lids themselves are usually made from ceramics. You can remove these one by one and soak them in warm, soapy water. Some gas hob burners also come with a coat around the edge of the burner, which can be washed in much the same way. Naturally, it’s also worth cleaning the rack which holds your pans above the burners. Do this in the sink with a scouring sponge. Since these racks are so thin, they stand a good chance of avoiding most spillages – but regular attention should ensure that they remain in tip-top condition for as long as possible.